This work tells the story of our first encounter with Klezmer music. It narrates pages of music history, describes intriguing characters and melodies which have opened new horizons for us towards a music that seems to capture the complexity and the delicateness of man’s emotional state of being. As a music overflowing with infinite meanings, it stimulated a creativity in the contemporary composers. This project gave birth to seven original compositions with Klezmer inspiration for saxophone and accordion, musical tales with traditional and popular elements (The Soul of the Yiddish Dance, Popular Klezmer Dance, Fattore K); flashes of contemporary music (Mayn Vingele); moments of counterpoint (Mr. Bach Meets Mr. Klezmer); jazz harmony (Canto e Danza di Strada). Alongside these are standards from the popular tradition (Der Heyser Bulgar, The Blessing Nigun, Badeken Die Kallah, Ballad for a Klezmer) and a personal interpretation of the 3rd movement (Lamentoso e Grottesco) of Erwin Schuloff’s “Hot Sonate”. 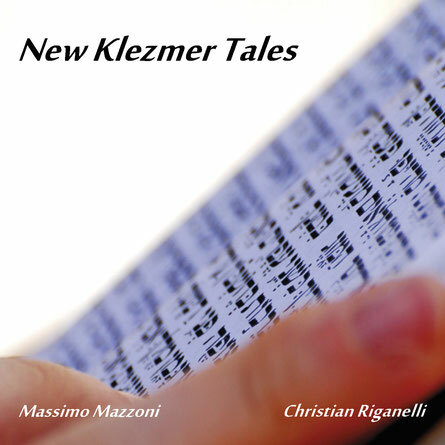 New Klezmer Tales is our contribution to a story that we are sure artists and composers will continue writing together in years to come.